An eight-year-old boy is sitting in class. It’s a Tuesday afternoon, and it’s raining outside. He’s listening, with the rest of the class, to a lesson about dinosaurs, and he’s bored. At the end of the lesson, the teacher sets an exercise. They have to invent a new dinosaur. Not just any dinosaur, but a creature with its own unique set of strengths and weaknesses. At the end of the exercise, each student has to stand and explain how their dinosaur survives. Is it a meat eater? Does it rely on speed? What are its advantages and disadvantages? Is it a predator? What are its natural enemies? The boy looked around at his classmates. Some were drawing monsters with sharp teeth and claws. Some drew massive animals that could withstand any attack. Gazing out at the rain, the boy seemed lost in thought, but after a while, he picked up his crayons and began to draw. One by one, the students stood up and talked about their drawing. Most had drawn animals that either looked like T-Rex or a Triceratops. Last of all, our boy stood up and showed his picture to the rest of the class. “Explain yourself boy. Why have you just scribbled on the page? That’s not what you were asked to do,” the teacher said, clearly not amused. The boy sat down. His teacher asked for his parent's phone number. On the 11th October 2018, Bloomberg announced Coinbase’s active customers have dropped by 80%. If you look at the recent action of Bitcoin and the leading cryptocurrencies, you’ll see that the crowd has packed up and left. They’ve moved on the next big thing. The Price Cycle is a four-phase cycle built from the emotional reactions of the crowd, the 95%, and actions of the 5% club. The volatility in Bitcoin is at levels not seen since the beginning of 2016 when Bitcoin was trading for around $500. The 5% club use a simple phrase to help keep them on the right side of any market: When the only is up, the only way is down. This phrase can be used with volatility too. When there is extremely low levels of volatility, the 5% club expect high volatility. In mid-October 2018, Bitcoin is in the doldrums and waiting for a catalyst. Where have the crowd gone? Are there any potential triggers that will drive the public back into Bitcoin and blockchain investment? A tool you can use to form a view on the potential of a new technology is the Gartner Hype Cycle. Gartner, a world-leading research consultancy company, track the emergence of new technologies with a hype cycle curve. Gartner attempts to place a technology onto the curve at a location dependent on where, in Gartner’s estimation, the technology is on its journey from initial entry until it becomes an established technology that’s used by everyone. From the initial trigger, the product is hyped until it reaches a peak of inflated expectations. After a parabolic rise in interest, the technology goes quiet. Abandoned by the media who go in search of the latest sensational product. What happens to the hyped technology after a peak? Sometimes, the technology dies. A good idea, but nothing more than a flash in the pan. Sometimes the dead technology is never heard of again, but sometimes it’s shelved and reemerges as something else at some point in the future. Something new born out of the original but failed idea. But not straight away. The first commercial use of lasers was not the military and the development of a death ray as some had predicted. The first commercial use, in 1974, was less dramatic but equally groundbreaking — supermarket checkout scanners. Today, lasers are used, not as death rays, but in barcode scanners, laser printers, Blu-ray players, medicine, surgery, guided weapons, and data transmission. The Gartner hype curve is useful because you can use it to confirm your ideas about the chances of a technology making it into mainstream use, or if it’s most likely destined to be a historical non-entity. The Gartner curve moves through five stages. The peak of inflated expectations. Gartner also estimates the most likely timeframe for the technology to reach the fifth stage, the plateau of productivity. At stage five, the technology has become mainstream and is widely in use everywhere. 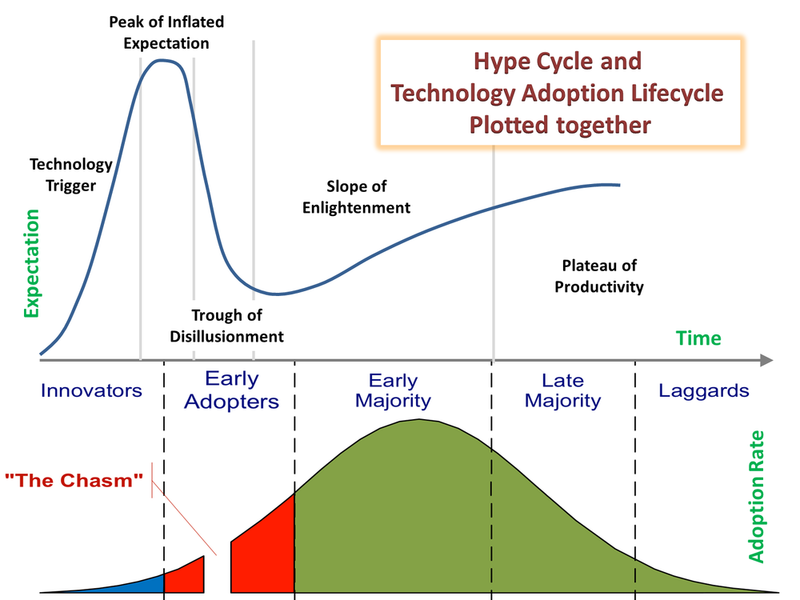 The 5% club use the Gartner hype curve with the Price Cycle to synchronise where the technology is most likely placed within the curve. 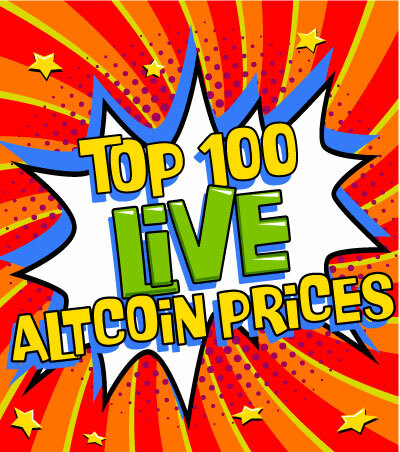 Bitcoin and most of the top alt-coins reached their price peak in December 2017. Think back to late 2017, and you’ll remember the hype too. As Bitcoin traded through $10,000, the media started to ramp up the coverage. That’s not guesswork. If you check out the media coverage and price history, you’ll see for yourself that the positive hype peaked in late 2017. Cryptocurrency experts were predicting the next price target at $30,000, with some even predicting $50,000 as the next stop. The hype curve is useful because it helps you to build a story about the investment you are interested in. If you use the hype curve with the price cycle of downtrend, accumulation, uptrend, and distribution, it can help form an opinion of the big picture. Bitcoin was hyped in the autumn of 2017. The price action of Bitcoin during this time is a good fit with the hype and media coverage. At the end, governments around the world were scrambling to close the gates, as the public jumped on to the idea of becoming rich through Bitcoin and blockchains. How do you fit the Hype Cycle to the Price Cycle? Think differently. Don’t start at the beginning. Start in the middle. The price action is parabolic. People are scrambling to get in and take part at any cost. The media coverage has moved from specialist publications and websites to the mainstream media. The products behind the hype are early in their development and at the time of the hype have no proved financial track record. In December 2017 was the price action in Bitcoin and the other blockchain technology coins parabolic? The answer is yes. Was the media in a full-on frenzy? Yes, again. And was the technology the hype was based on still in the early stages of their development cycle, with some of the top performing coins little more than early beta ideas? The answer once again is yes. December 2017 is a good fit for stage two. Price action and the hype cycle are in agreement at this point. You might be thinking that it’s not that easy. Bitcoin has had three price bubbles in the past. (See Money Without Borders Part 1) What makes the price move in late 2017 any different? It’s different because it’s the first time all three components have come together at the same time. Yes, Bitcoin has had price bubbles in the past, but the mass media hype was missing, so was the proliferation of altcoins, and so was the stampede into the cryptocurrency space. Remember, in December 2017, the exchanges couldn’t cope with the new demand. On some exchanges, it took weeks to open and fund an account. If you study the tech bubble of the late 1990’s, you’ll find venture capitalists were backing companies, who had little more than a disruptive idea, with millions of dollars of investment. Most failed. In March 2000, the Nasdaq stock index was being hyped as the market for the 21st Century. Price action and the hype cycle for new technology were in alignment. As the Nasdaq hit 5,000 for the first time on March 7th, 2000, the experts were wheeled in to espouse the new paradigm. People were quitting their day jobs and taking up a new career as traders. Being a ‘trader’ became a new and exciting career. Why work for the ‘man,’ when you can work from home and take control of your life. It ended on March 10th, 2000 at a price of 5132.5. The Nasdaq collapsed 78.4% over the next two and half years. Most new traders lost it all. In March 2000, the price action of technology stocks and the hype cycle for technology companies were in agreement. If March 2000, was stage two, the peak of inflated expectations for tech stocks; then, stage three, the trough of disillusionment was in October 2002. And that was the low. The experts were still in front of the cameras. Not telling you to buy, but telling you to sell. On October 10th, 2002, the Nasdaq hit stage three of the hype cycle. The public had gone. Think of tumbleweeds rolling through Times Square. The 95% had lost interest and moved on to the next big thing — Real Estate. And we know what happened there. Over the next five years, the Nasdaq rallied 157.3%. Until it hit the next crisis, this time caused by the 95%, who had given up day trading and taken up house flipping. Until human beings evolve into a Marvel comic avatars of themselves, who can shed their biases and behaviour patterns, this cycle will never stop. As Bitcoin and the rest of the top alt-coins continue to trade sideways and down, the number of people interested in cryptocurrencies is falling. And this is a good thing. The 5% club know that frenzies don’t begin trends. They end them. The frenzy in Bitcoin and blockchain technology ended in December 2017. The 5% use the Hype Cycle to confirm the Price Cycle. Cryptocurrencies and blockchain technology behaved,in 2017, just like the boom and stampede into tech stocks that ended in March 2000, with insane price to earnings ratios backed by media hype. Like a tech stock without earnings, blockchain technology is sliding down the slope into the trough of disillusionment. When it gets there, don’t expect a fanfare. Don’t expect the media to tell you to buy the low. Instead, expect the opposite. At the low, you’ll feel on your own. The consensus will be the only way is down. And that’s when the 5% know. Until then, the 5% club is waiting for a catalyst. The next stage of the story behind the mass adoption of blockchain technology. Imagine a corridor, a pathway into the future. In the movie Minority Report, three precognitive mutants are connected to a machine. When the three Pre-cogs disagree, the corridor is wide and the path into the future is unpredictable. But when they do agree, the corridor narrows. As the corridor narrows, each Pre-cog is able to use the ‘feedback’ to focus in on fewer remaining possible pathways. Eventually, the paths narrow to such a granular level that the Pre-cogs can predict the future with precise accuracy. The currently accepted model of financial markets, (discussed in Close Quarter) including the cryptocurrency market, is that the markets follow a random walk. 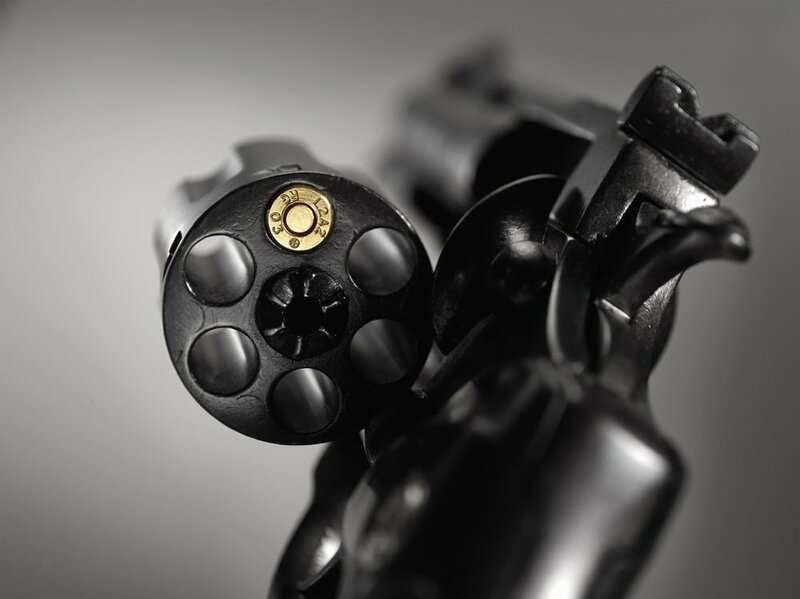 The model states financial markets have no memory of past events and each price movement is like a game of Russian roulette, where the chamber is spun after each pull of the trigger. With six chambers and one bullet, there’s always one chance in six of bad news. Complexity theory states, at certain times, financial markets have a memory of past events, and are path dependent. This is like playing Russian roulette, but not spinning the chamber after each pull of the trigger. At first, the odds are one in six, then one in five, and so on until it’s certain. The 5% club use the history of past events like a downtrend that ends with an emotion bar. They assign the probability of seeing the price action that actually occurs because of the recent event, and compare it to the probability the event would happen anyway regardless of what happened in the past. This is called a likelihood ratio. The 5% club use the likelihood ratio to adjust initial beliefs about a market condition. Complexity theory suggests, instead of following a random walk, cryptocurrency and financial markets behave like complex systems, where at certain times previous actions affect the probability of future price action. Like the Pre-cogs in Minority Report, this narrows down the corridors of the most likely pathways into the future. The first dimension of trading, investing, and speculating is price, the second is time, and the third is volume. The 4th dimension is fear. If you want to know what fear looks like, take a look at the price action of the US stock market on the 6th February and the 11th of October 2018. Vicious moves down ending with an emotion bar, a wide range bar closing in the middle of its daily range and accompanied by high volume, is the signature of fear in the market. The 6th February low came in on 335% of average turnover; the 11th October on 296%. Bitcoin and the leading alt-coins did not react well. On the 11th of October Bitcoin lost $450 on 181% of average turnover. 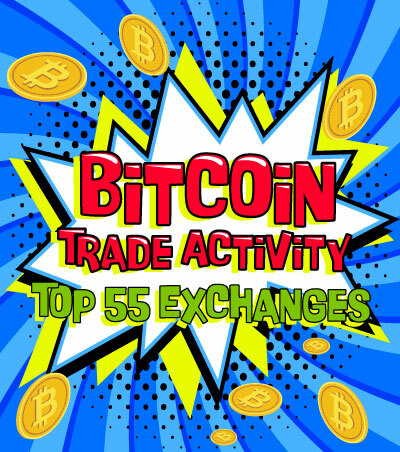 The 5% know, because of recent reports from Bloomberg, cryptocurrency exchange activity is down 80% from the peak. They know that blockchain technology is most likely moving down into stage three of the Hype Cycle, the trough of disillusionment. This hypothesis is supported by the price action of Bitcoin and the majority of coins. The 5% believe the cryptocurrency markets are complex systems and are path dependent. They combine the Price Cycle with the Hype Cycle and assign probabilities to past events. So far in 2018, the price action of the major coins is a downtrend followed by a transition, via an emotion bar, into sideways price action. The 5% notice the multiple tests of the emotion bar lows and know the price action has not confirmed stage three of the Hype Cycle, the trough of disillusionment. If the 5% club see a wide range bar breakout of the previous sideways move highs on very high volume, they will adjust the probability that stage three is complete. The 5% are looking for a market ‘tell’ the world has given up on Bitcoin and blockchains. Perhaps it will be driven by exchanges going broke due to lack of trading commissions, or maybe it will be miners unable to fund the cost of running their commercial mining farms. The 5% adjust their opinions in line with the path dependent evidence they see. The 95% browse social media and use google in search of the next big thing. 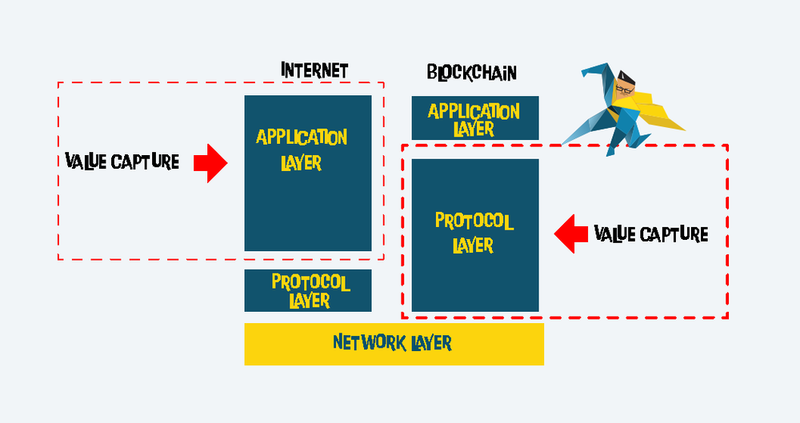 As blockchain technology moves through the Hype Cycle from the stage one trigger to the stage five plateau, investors at each stage are grouped into categories. The stage one trigger and the initial move are driven by the innovators. As the cycle moves towards stage two, the peak of inflated expectations, the early adopters get on board. Then comes the chasm. The period of time where the no new group enters the market. The 5% club use this behaviour as another ‘tell.’ They use this characteristic to zero in on the technologies most likely location within the Hype Cycle. The combined feedback from the Price Cycle and the Hype Cycle is presenting the following evidence. The Price Cycle moved into a parabolic high in December 2017. At the same time, the media hype had moved from specialist websites and magazines and into the mainstream. Like the tech stocks of the late 1990’s, the investment hype and price valuations had got way ahead of the actual development and adoption cycle of the underlying blockchain technology. In late 2018, the major blockchain coins and tokens have fallen between 70% and 94% of their 2017 peak. In late 2018, the volatility of the cryptocurrency market is very low. After the innovators provided the trigger, the early adopters drove the price up to unrealistic valuations and prices collapsed. No new group has stepped in to drive new investment into blockchain products. This is the investment chasm. What will drive new investors into blockchain technology? What product or service has the potential customer base and scalability to act as the vehicle for stage four of the hype cycle journey? The 5% are waiting for the missing archetype — the Early Majority. Imagine the benefit to governments if all money could be tracked and all cash transactions banned. In 2018, money as you know it is dying. Sweden is rapidly becoming a cashless society. In 2018, the Swedish central bank reported cash transactions represented 15% of retail sales. In France, cash payments between tax residents and businesses are limited to €1,000. India began demonetising larger denomination notes in November 2016. In a shock move, the Indian government banned 500 and 1,000 Rupee notes. The effect, two years on, is the economy has recovered back to its pre-ban level, but the Indian government collected a massive tax haul in the following year with tax revenues from individuals up 27%. In 2019, the new Euro banknotes won’t include a €500 note. Although the note will remain legal tender, try spending one in a restaurant, if you’re taking your friends and family out for dinner. The 5% club study the motifs, symbols, and themes of society. The interwoven fabric of trends and countertrends. One of the things they look for is the motivations of the actors within the play. When Bitcoin and alt-coins started to raise the eyebrows of the establishment, the doyens of banking and finance were rolled out in front of the media. “It’s a scam they cried, fighting chaos with chaos, let loose the dogs of war.” Yes, that’s a line, slightly adjusted to fit our purposes, from Shakespeare’s Julius Caesar, and made famous by fictitious and Machiavellian US president Frank Underwood. The point is this. You’ve been using a cryptocurrency since August 15th, 1971. A currency backed by nothing whose only value is a promise to pay. It’s called the US dollar. An agreement was made at Bretton Woods in 1944 where the United States promised to exchange US dollars for gold. On a Sunday night in August 1971 the Bretton Woods agreement was rescinded, interrupting the masses while they were transfixed by the most popular TV show at that time. Bonanza. You couldn’t make it up. US dollars, Euros, British Pounds. All currencies backed by nothing. The new $100 bill, introduced in 2013, costs 12.5 cents to produce because of the new security features. The other notes cost 9.8 cents. The US budget for producing new currency was $796 million in 2013. The evidence suggests governments are slowly moving towards a cashless society. But why are they motivated to support the transition? 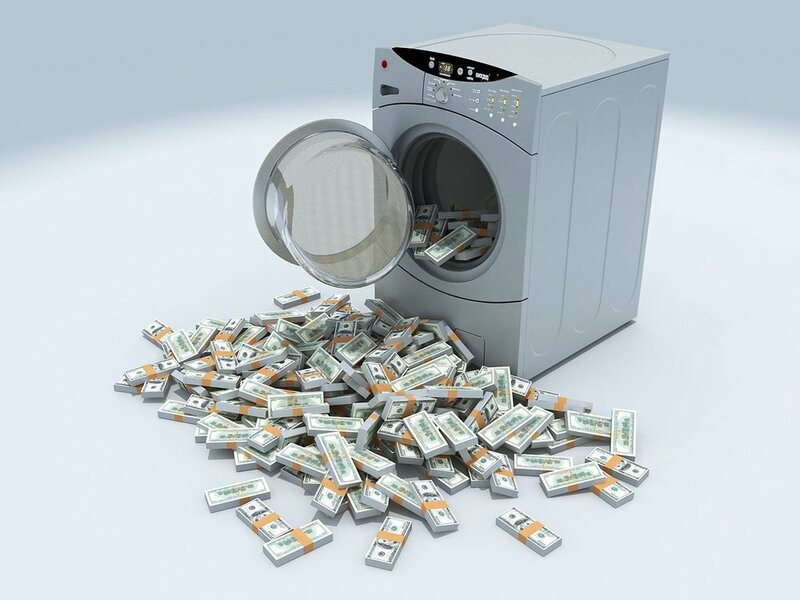 The United Nations estimates that between two to five percent of global GDP is illegally laundered. In 2018, that’s between 1.75 to 4.3 trillion US dollars. Remember the tax boost India received after banning 500 and 1,000 rupee notes? The benefits to killing physical cash include increased tax revenues, control over illegal money laundering, control of cross-border money outflows, control of black markets, savings from not having to produce paper money and coins, and best of all — total and complete control over you and your cash. The Close Quarter article discussed Ripple and the problems it solves. Close Quarter talks about the big players backing Ripple, the size of its potential market, and the markets it will disrupt. Large banks and institutions make considerable profits from cross-border payments. You have probably enjoyed the fifty dollar fee to send money overseas. Fifty dollars for an inefficient process that can take up to five days to complete. Banks and institutions have been ring-fenced too. During the glory years from the mid-1980’s until the 2008 financial crisis, bankers were the poor cousins of the financial world. They wanted a piece of the action and decided to start playing with the derivatives markets. Barings Bank, the oldest merchant bank in the UK was brought down by a rogue trader, Nick Leeson, and was declared insolvent on 26th February 1995. Barings was eventually sold to Dutch bank ING for £1. But this wasn’t the end of the banks enjoying the fun. They were just getting started. And you know where it ended. The 2008 financial crisis. How will ‘ordinary’ banks, the kind you deposit your salary into, make money going forward? With the derivative markets ring-fenced away, the banks face a loss of revenues from disruptive cryptocurrencies like Ripple. And with the death of money, they are open to attack from fintech banks like N26, Revolut, and Monese. Societal trends suggest banks as you know them, like the bank in your local high street, will be under pressure over the next five to ten years. Retail banks have to conform to an ever-increasing amount of bureaucracy. All the money laundering regulations will restrict them from accessing massive parts of the developing global economy. The strangulation of the banks from the death of cash, disruptive technology like Ripple, and the rise of new fintech banking platforms, could act as the incubator for the emergence of another method of taking and making payments. A massive market in waiting. In high-income OECD countries, Mckinsey, a global consulting company, estimates the number of people without access to banks and banking services to be 8%. But step outside of Europe and the English speaking world, and it’s an entirely different story. McKinsey estimates 49% of Central Asia and Eastern Europe, 59% of South East Asia, 65% of Latin America, 67% of the Middle East, and 80% of Sub-Saharan Africa are unbanked. 2.5 billion people are without basic banking services. But before you get to decentralised exchanges… you need stable coins. The only thing that gives your cash value is trust. If you were born after August 15th, 1971, then all the cash you’ve ever earned and all the money you have in savings is not backed by a physical asset. Your money only has value because of trust. Trust in governments to underwrite its value. If you are working abroad to support your family and need to send money home, you need to be able to transfer it without friction from the currency you are paid in. You need to trust that the intermediary currency you use on a decentralised exchange is trusted and has plenty of liquidity. In 1944, the major world powers brokered the Bretton Woods agreement where each currency would free float against the US dollar, but the US dollars value was backed by physical gold. In 1971, after the shock removal of gold-backed US dollars, the world went into a short-term tailspin. Until that is, the United States came up with a plan to stabilise the global economy. It’s called the Petrodollar agreement. In short (and oversimplified), the US guarantees security in the Middle East, and in return, the oil producers promise to sell their oil exclusively in US dollars. The Petrodollar agreement ensures the US dollar remains the world default currency because everyone needs energy, and the Middle East region is by far the largest supplier. Some of you may be thinking this sounds like a protection racket — the premise being — We’ll protect you, as long as you sell your goods in exchange for US dollars. Protection racket or not. The US dollar stayed king. If decentralised exchanges are going to attract the early minority group of investors into blockchain technology, the exchanges are going to have to solve an existing problem. 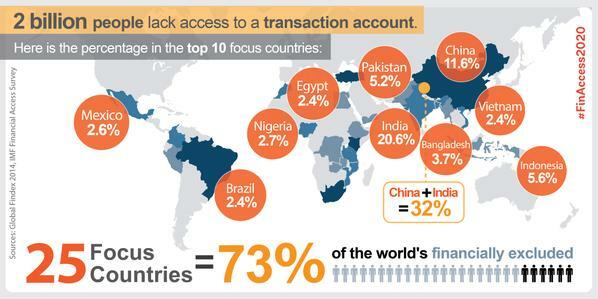 The global unbanked population is a problem waiting for a solution. The potential is enormous, but to be a service that will drive billions into the market money has to be not just tokenised, but trusted. Let’s have a look at the potential for tokens that can be used as a trusted store of value and also for day to day transactions. If Ripple is the cryptocurrency solution for interbank payment systems, stable coins are the solution for not just the 2.5 billion people who are unbanked, but also the underbanked. The United States has around fifty one million citizens, 20% of the population, who have only partial access to banking services. Stable coins are a cryptocurrency pegged to another coin or asset. Just like the US dollar used to be pegged to gold. Stable coins come in two versions. Those that are asset-backed, and those that aren’t. Globcoin is a stable coin backed with a basket of fiat currencies and gold. The Globcoin platform will be powered by ethereum ERC20 contracts. SwissRealCoin is another stable coin backed by Swiss real estate. SwissRealCoin like Globcoin uses ethereum ERC20 contracts. Games without Frontiers introduced the trilemma. If countries are entering into a period of less trust, and the movements towards nationalism and isolation get worse, you can expect an increased amount of volatility within the global financial system. Emerging markets with large amounts of debt denominated in US dollars will struggle to pay its existing debt and refinance. This is when the local currency gets hit. At the extreme end are Venezuela and Zimbabwe. Venezuela devalued its currency, the Bolivar, by 95% in August 2018. The replacement currency — the New Bolivar — is backed by the Venezuelan Petro cryptocurrency. In 2014, Zimbabwe devalued its currency to zero. At complete collapse and after suffering massive stagflation, a Zimbabwe twenty trillion note was worth twenty US cents. Look up the price of the Indian Rupee and the Turkish Lira against the US dollar. In 2018, they are the opposite of stable. The US dollar is called the global reserve currency. In times of local crisis, the public scramble to own one of two things. US dollars and gold. But in times of global financial stress, the global currency for safety and stability is the Swiss franc. A stable coin should have the following characteristics. The most well known stable coin is Tether. But Tether tracks the US dollar. Can the US dollar go down against another currency? If you check the US dollar to Swiss franc, Canadian dollar, Euro, and even the Brazilian Real, you’ll find the US dollar does enter into volatile periods where it devalues against other currencies. One solution could be basing a stable coin on a basket of currencies, like the trade-weighted US dollar index, or on the IMF’s currency, the SDR, or Special Drawing Right. Tether has its share of non-believers too. 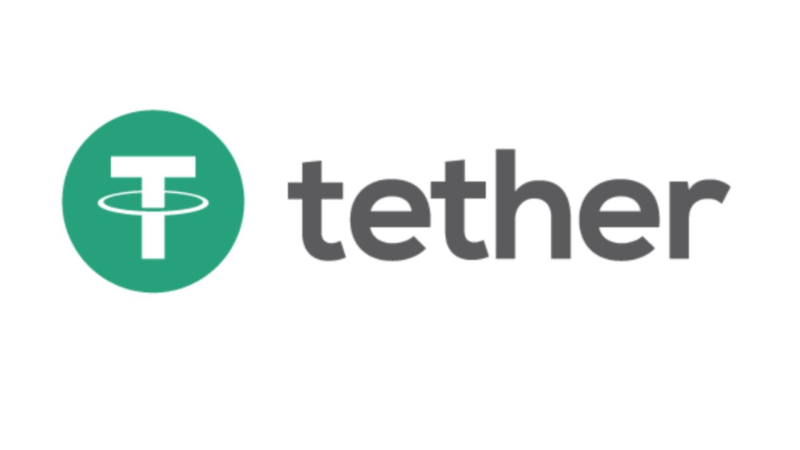 Traders and investors worry that Tether isn’t actually backed by the US dollar and that its nothing more than a scam. As of the time of writing, Tether is trading for 89 cents. Something is clearly not quite right. Once a stable coin is found with the four attributes of accessibility, flexibility, scalability, stability, and has proven backing from the underlying asset class, trust can begin to build. Once a coin or token with these four attributes is trusted, it narrows the probability pathways into the future. It opens the door towards decentralised exchanges and new investment into blockchain technology. In the gold rush of 1849, it wasn’t the miners who got rich. It was the food and hardware sellers. The 5% club monitor the Price Cycle and use the Hype Cycle to help build their big picture objectives. They don’t wait for media attention, and are most often positioned, months or even years, before the market they’ve invested in gets mainstream media coverage. 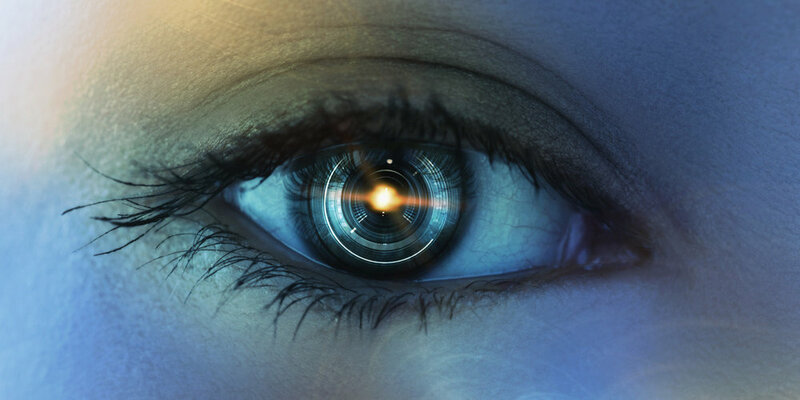 They monitor social trends and analyse the new demand for technologies most likely to benefit from the latest trend. If it’s raining in London, the 95% are falling over themselves in a rush to buy an umbrella. The umbrella sellers have ramped up the price to full retail. Meanwhile, the 5%, on their way home in a limo, are short selling suntan cream. The 5% club think differently and don't follow the crowd. Tonight when you’re brushing your teeth, look into the mirror and ask what kind of dinosaur you would draw?